Get fantastic views of the city from the large observation deck located on the floor 7th and the small deck on the 37th floor at the top of the tower! Overlook Macau as the city comes alive at night! Easy redemption. Weather abit rainy during my visit. Advised by the staff to wait for the rain to stop. Thank God the rain stop on time and manage to visit. Very scenic and worth it. 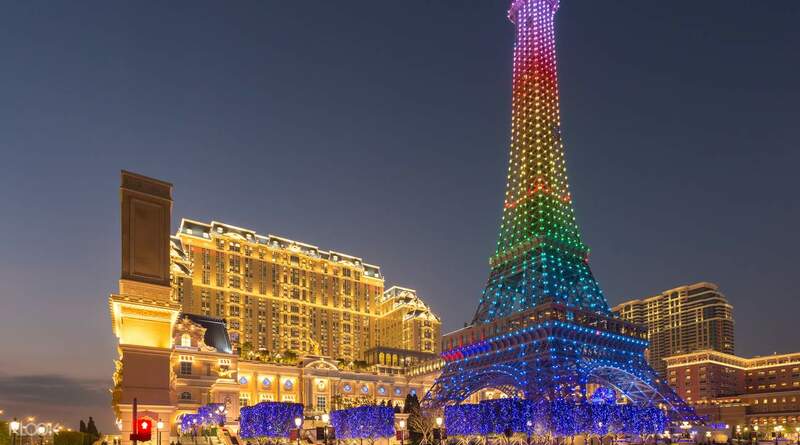 Feel like you're in Paris even when you're in Macau because the iconic Eiffel Tower is now at The Parisian Macao, no less! 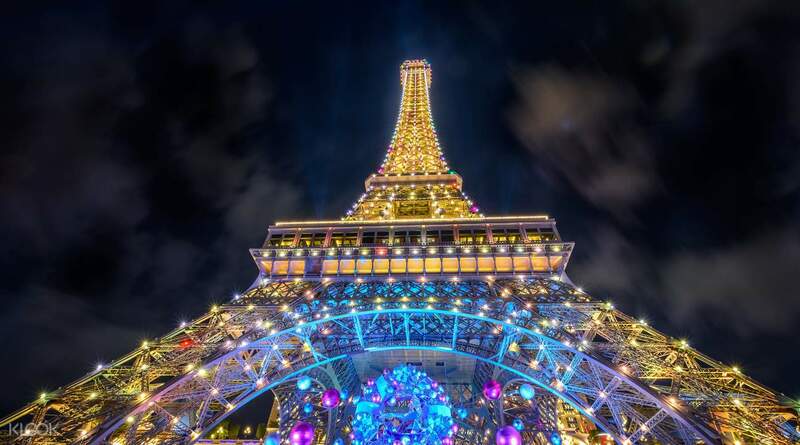 A new landmark of the city, the tower has many of the ornamental touches that it's counterpart in Paris has, making you really feel like you're all the way in Paris. With this ticket, you can climb up to the 7th and 37th floor observation deck and take in the spectacular sights of the city. Stay for the night and catch the light show that runs every 15 minutes starting 6:15pm to midnight. End the night at Macau's newest landmark - the perfect formula for a romantic date. Entry was hassle-free. We enjoyed the view so much. We went there in the morning (before sunset) but i think it would be better if you go up to the peak at night time to experience flashing lights of macau’s different hotels and casinos. Entry was hassle-free. We enjoyed the view so much. We went there in the morning (before sunset) but i think it would be better if you go up to the peak at night time to experience flashing lights of macau’s different hotels and casinos. 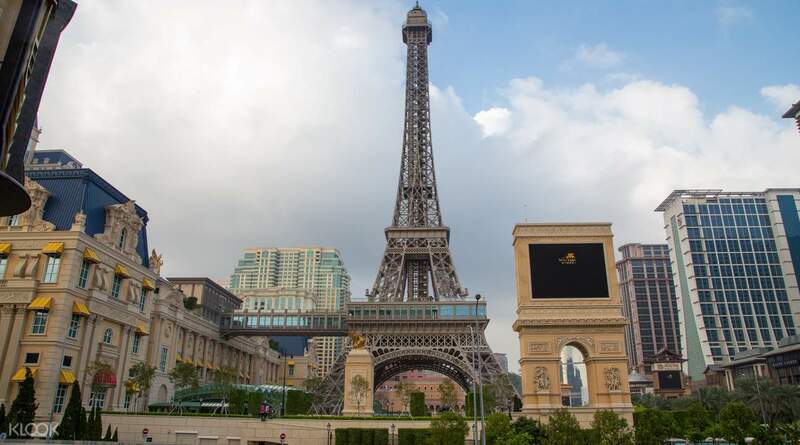 Eiffel Tower Experience at Parisian Macau. Get fantastic views of the city from the large observation deck located on the floor 7th and the small deck on the 37th floor at the top of the tower! Worthy to visit . Unforgettable memory. 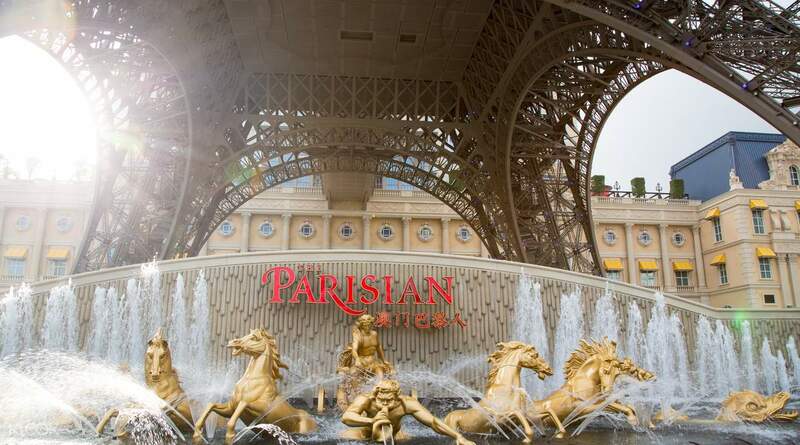 Eiffel Tower Experience at Parisian Macau. Get fantastic views of the city from the large observation deck located on the floor 7th and the small deck on the 37th floor at the top of the tower! Worthy to visit . Unforgettable memory. Amazing experience! You get an excellent view of Of just Parisian. Don’t expect a broader view of other hotels or other part of macau city.Its worth a visit and please book only with klook as we found the direct tickets more expensive. Amazing experience! You get an excellent view of Of just Parisian. Don’t expect a broader view of other hotels or other part of macau city.Its worth a visit and please book only with klook as we found the direct tickets more expensive. Beautiful place to visit! We had a wonderful time. Exchanging for the tickets was a breeze. No queue at all. We went up the tower to see the view. At the deck area, there is an area where kids can ice skate. And food cafe to sit & relax. Nice place to hang out. Beautiful place to visit! We had a wonderful time. Exchanging for the tickets was a breeze. No queue at all. We went up the tower to see the view. At the deck area, there is an area where kids can ice skate. And food cafe to sit & relax. Nice place to hang out. Amazing night view from the deck. Me and my husband love the spot with the lights and replica of eiffel tower. We arrived at 10:32pm, it closes at 10:30pm, fortunately, the staff is nice so we still enter the deck and the highest level at 37th flr. Amazing night view from the deck. Me and my husband love the spot with the lights and replica of eiffel tower. We arrived at 10:32pm, it closes at 10:30pm, fortunately, the staff is nice so we still enter the deck and the highest level at 37th flr. Ticket is easy to redeem. Just go to The Parisian have them scan your code at the ticket booth and they will give you some sort of a pass that another staff will collect before riding the lift going to the top of the Eiffel. Mus try at night to enjoy the Eiffel lights. Ticket is easy to redeem. Just go to The Parisian have them scan your code at the ticket booth and they will give you some sort of a pass that another staff will collect before riding the lift going to the top of the Eiffel. Mus try at night to enjoy the Eiffel lights. I had so much fun taking pictures! The place is a must visit if you will go to Parisian Hotel. There's an area for locks to seal your deal and elevator to 37th floor to enjoy the full view of the area. What a lovely experience! I had so much fun taking pictures! The place is a must visit if you will go to Parisian Hotel. There's an area for locks to seal your deal and elevator to 37th floor to enjoy the full view of the area. What a lovely experience! We went during evening time to enjoy the view during "day" and "night" . There were paid photo taking session before the exchange of Klook voucher. Although I am afraid of height, reaching the top deck using the second lift was not a problem for me. The panaromic view from the top deck was fantastic. There were "hole" on the floor where we managed to take a view to the bottom of the tower. We went during evening time to enjoy the view during "day" and "night" . There were paid photo taking session before the exchange of Klook voucher. Although I am afraid of height, reaching the top deck using the second lift was not a problem for me. The panaromic view from the top deck was fantastic. There were "hole" on the floor where we managed to take a view to the bottom of the tower.